Oprah Talks Paula Deen N-Word Backlash: Southern Chef Represents "Millions of People Who Have Used That Word"
Oprah Winfrey attends a special screening of "Lee Daniels' The Butler" on Wednesday, July 31, 2013 in New York. 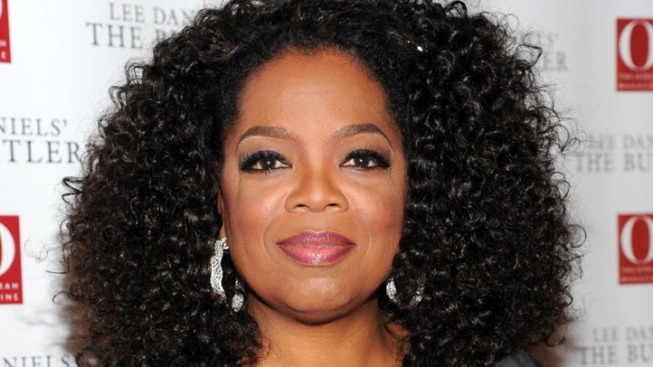 Oprah Winfrey is opening up about the Paula Deen N-word controversy. Following the embattled Southern chef's public fall from grace, the media mogul sat down with E! News at the NYC junket for Lee Daniel's "The Butler" Monday and shared her thoughts on the criticism the former Food Network star received after admitting to past use of the racial slur. "I think that Paula Deen represented, you know, millions of people who have used the word," the media mogul told E! News when asked if she believed the backlash was fair. In May, the celebrity chef's reputation was irreparably damaged after she admitted in a video deposition to using the N-word as part of a $1.2 million lawsuit filed against her by a former employee. The controversial confession caused a number of sponsors--including the Food Network, Smithfield Foods, Sears, Caesars Entertainment Corporation and JCPenney, to name a few--to sever their ties with the 66-year-old chef. "Unfortunately, she is a public figure," Winfrey continued. "And whatever the situation was with the hearing that she had, or had said it and then went on TV and said she had only said it one time, but Paula Deen, I thought, represented a whole lot of people. And I think for the big issue to be made about Paula Deen was what the media does." "You and I both know a lot of people use that word," the talk show host--who visited Deen at her home in Savannah, Georgia in 2012 for a sit-down interview on her series Oprah's Next Chapter--added. Despite Deen issuing a tearful apology on the "Today" show insisting she's not a racist, companies continued to distance themselves from the beleaguered chef. She was later dropped by Walmart, and Ballantine Books canceled publication for her cookbook Paula Deen's New Testament: 250 Favorite Recipes, All Lightened Up. Until now, Oprah chose not to share her thoughts on the scandal, although she recently discussed the use of the N-word in an interview with Parade magazine to promote her upcoming film. "You cannot be my friend and use that word around me," the OWN Network star said. "It shows my age, but I feel strongly about it...I always think of the millions of people who heard that as their last word as they were hanging from a tree."